Sun and rain in abundance has given our dye plants a great boost. 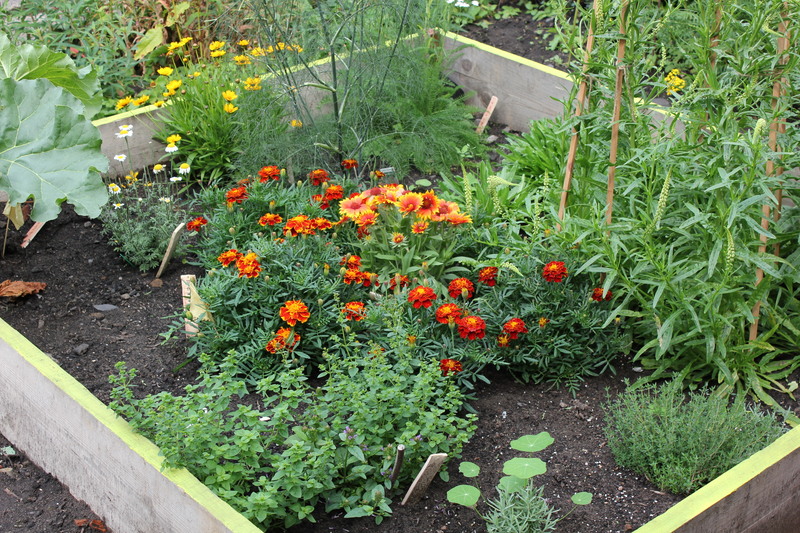 The yellow bed is full of blooms and we are regularly collecting them for drying and dyeing with later in the year. 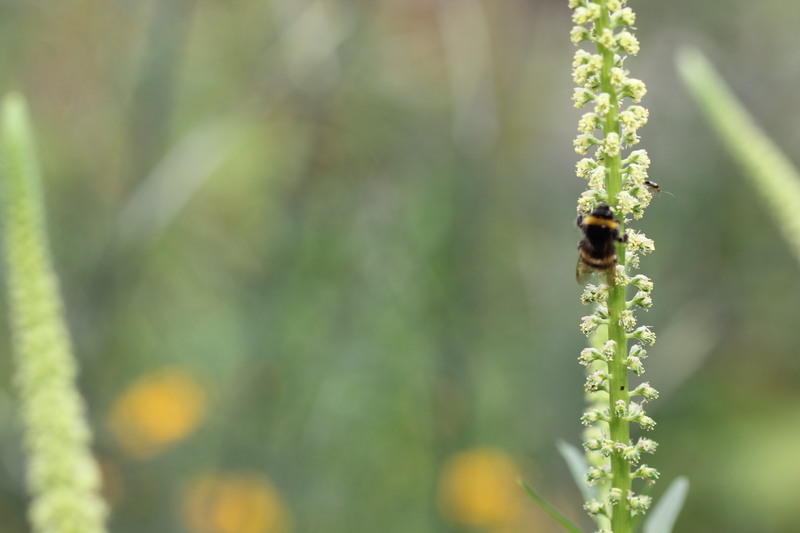 It has been interesting to see the habitat for insects and birds develop – we have lots of butterflies and bees, goldfinches and a pair of magpies who particularly like the red bed. 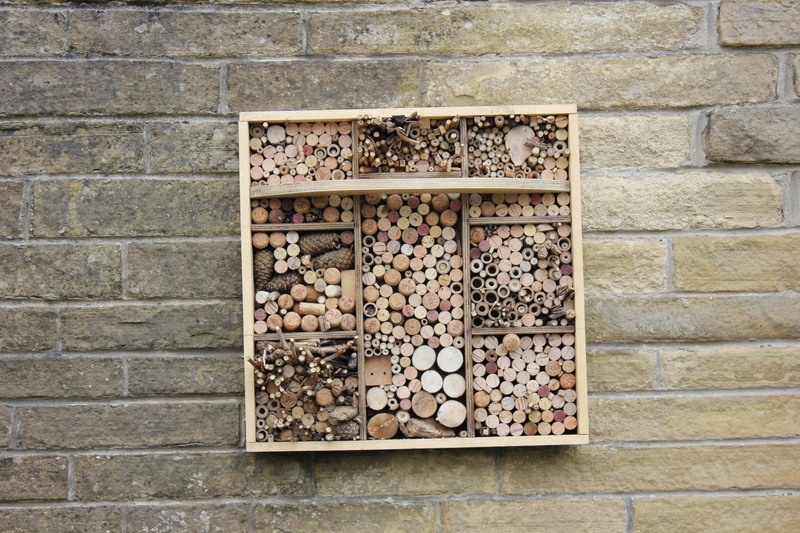 To enhance the habitat further a group at Hive put together an insect hotel. 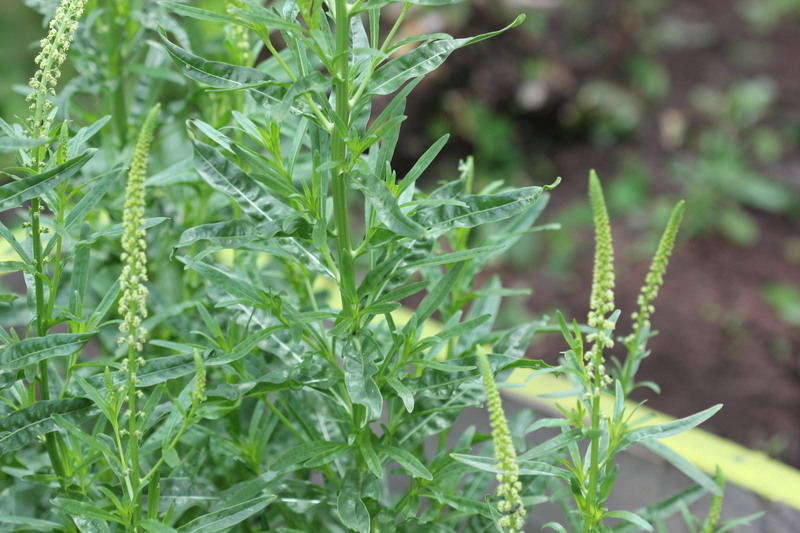 Weld plants flowering in their first year. As a biennial plant this is a bonus crop for us. 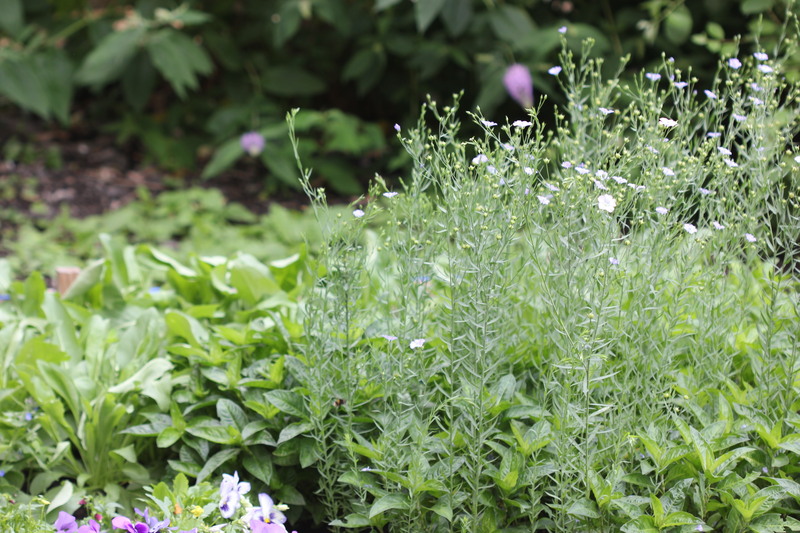 Flax, indigo and woad are thriving. We welcomed visitors from the Society of Dyers and Colourists and Bradford Textile Archive to the garden last week. 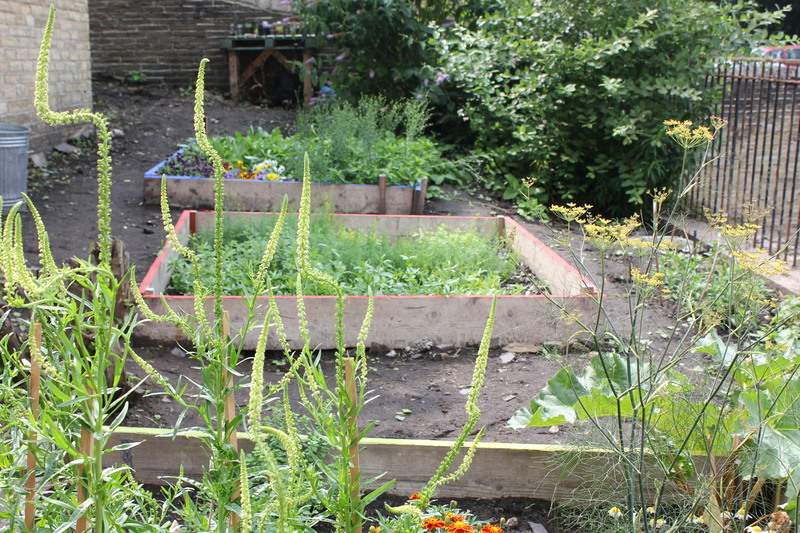 Both organisations are partners in the project and have kindly provided sessions for some of our groups. It was great to be able to show them how much the project has developed and also to use some of the plants to do some indigo dyeing.